Kay Ghahremani is the President and Chief Executive Officer for the Texas Association of Community Health Plans (TACHP), with over 25 years of experience in health care administration and management. In her current role, Kay directs a dynamic membership of 12 health plans sponsored by local health systems across Texas that collectively serve over two million Texans. As CEO, Ms. Ghahremani represents and advocates for issues important to the TACHP mission of supporting and strengthening the delivery and outcomes of health care in Texas communities through engagement of health care consumers, community providers and other stakeholders. Kay previously served as the Texas Medicaid and CHIP Director for the Health and Human Services Commission, directing services for over four million people monthly. In this capacity, Ms. Ghahremani managed a large organization dedicated to the complex operations of the Texas Medicaid and CHIP programs. During her three year tenure, Texas Medicaid expanded its managed care program statewide and improved health care delivery for individuals with complex health conditions. 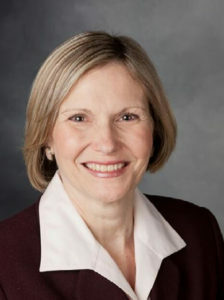 Prior to becoming the Texas Medicaid and CHIP director, Kay served as the Medicaid and CHIP Policy Director for over five years. She has held a number of progressively challenging positions in health care during her professional career involving the design, implementation and operations of government programs. Ms. Ghahremani holds a master’s degree from the Lyndon Baines Johnson School of Public Affairs. 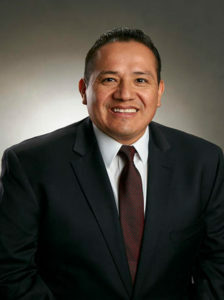 Frank J. Dominguez is the President and CEO of El Paso Health, the only El Paso-operated non-profit health maintenance organization (HMO). Mr. Dominguez has been with the company for 12 years, having served in several executive level positions. He now oversees a team of more than 145 El Pasoans who serve over 98,000 Members across the organization’s various health plans including Medicaid, CHIP, Preferred Administrators (Third Party Administration), and Health Care Options. With over 20 years of experience in the managed care industry, Mr. Dominguez has an extensive background in government health care programs and third party administration operations. He is driven to create innovate programs that directly improve members’ access to high quality care and outcomes. Under his leadership, El Paso Health has created innovative partnerships with providers, agencies, and health care stake holders to improve the quality of the healthcare delivery system for Medicaid, CHIP, TPA, and unfunded members. El Paso Health has consistently performed in the top tier of HHSC quality performance metrics and since 2014 has been the membership market share leader for both the Medicaid and CHIP program in the El Paso Service Delivery Area. Mr. Dominguez is generous with his time and serves the following organizations: Association for Community Affiliated Plans (ACAP) – Board Member; Paso Del Norte Health Information Exchange (HIE) Board Secretary; and Texas Association of Health Plans (TAHP) – Board Member. Mr. Dominguez is a graduate of Park University, where he earned a Bachelor of Science degree in Health Care Management as well as a Masters of Arts degree in Communication and Leadership. 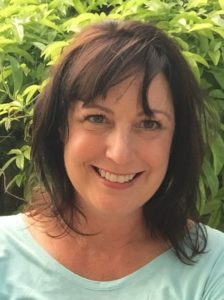 Karen Love joined Cook Children’s Health Plan (CCHP) in November 2018, bringing over thirty years’ experience in the health care industry. Prior to joining CCHP, Karen served as Executive Vice President and COO of Community Health Choice, a Houston-based community-based Managed Care Organization serving over 430,000 Members. Karen’s long career has been centered on strengthening the collaborations among payers and providers to produce better health outcomes for Members and patients. Karen holds a B.B.A. from the University of Texas, Austin and a M.H.A., Tulane University. Doris Hunt serves as the Executive Director of Children’s Medical Center Health Plan. Children’s Medical Center Health Plan is the newest provider-sponsored plan in the Dallas Service Area serving 9,000 children with disabilities with corporate offices in Irving, Texas. Doris is the Treasurer of the Texas Association of Community – Based health plans and a Board Member of the Texas Association of Health Plans. 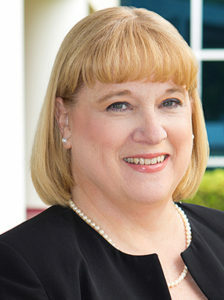 Prior to joining Children’s, Doris was the Vice President of Finance for Tarrant County Hospital District, as well as the CFO and COO for Cook Children’s Health Plan. She was responsible for the daily operations of the Star, CHIP, and CHIP Perinate and the Tarrant County Indigent Program. She is a CPA and has a BBA in Accounting from University of Texas at Arlington.